As her list of Fortune 500 clients attests, Dr. Frankel is a recognized expert across four continents on how to achieve career success. A licensed psychotherapist and former Human Resources professional in a Fortune 10 company, she has delivered results for more than 20 years. From Administrative Assistants to CEO’s, her clients have been inspired to go beyond good to great performance. 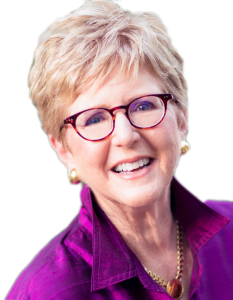 She now brings her dynamic insights and powerful advice to audiences from 100 to 1000 worldwide in a series of entertaining and educational keynote presentations. Choose From One of Dr. Frankel’s Most Popular Keynotes or Let Her Design a Unique Program For Your Group at No Additional Charge! Based on the international bestseller of the same name, this humorous and candid look at unconscious things women do because of childhood messages. 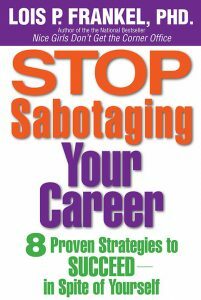 This program hits home with any woman who wants to better understand how she unknowingly sabotages her best efforts to achieve her full career potential — and what to do about it. 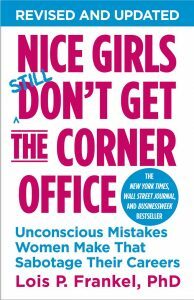 Expanding the tried and true tips from the bestselling Nice Girls Don’t Get the Corner Office to all aspects of a woman’s life, Dr. Frankel illuminates the critical strategies and accompanying tactics to go from “nice girl” to “winning woman. Whether you have formal authority for leading a group or organization or want to use your leadership skills to make a difference in your community, you’ll love this new keynote by Dr. Lois Frankel. 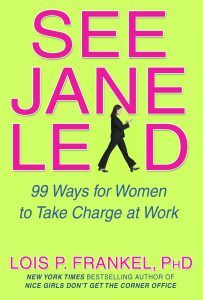 Based on her new book about women as leaders (published on April 11th, 2007 by Warner Books) she encourages women to take charge, take risks, and lead! Drawing from nearly two decades experience with coaching and counseling executives, Dr. Frankel answers the question why some people move forward fluidly through their careers while others seem to stagnate, stall, or derail entirely. Using real-life examples of people who prematurely derailed, such as Martha Stewart, Margaret Thatcher, and Newt Gingrich, the audience can see themselves in the mistakes made by great leaders. If you’re looking for a keynote where women and men can come together to both learn from and laugh at their unique communication foibles, then this one’s for you. 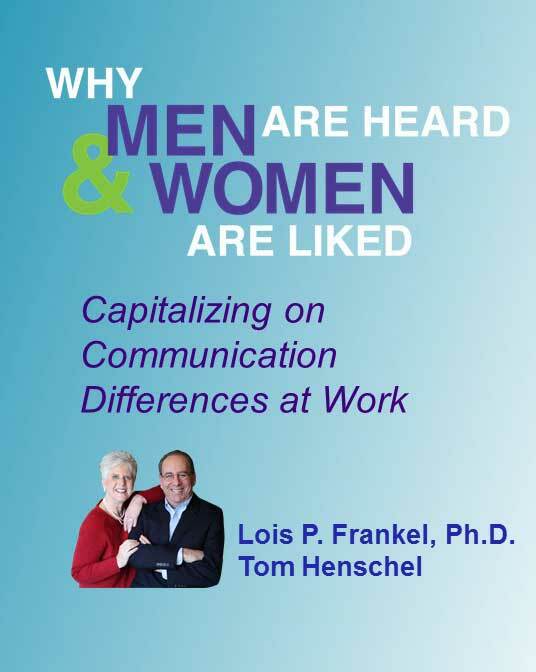 Dr. Frankel teams up with executive coach Tom Henschel to describe and demonstrate the ways in which the sexes misunderstand and misinterpret each other’s messages. Did you know that you can craft the word on the street by consciously defining your professional brand? Branding is what differentiates you from your colleagues and allows others to see you as a valuable workplace asset. 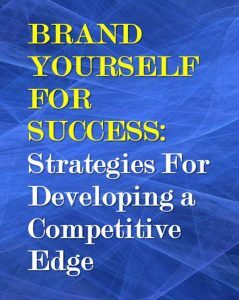 When you brand yourself for success you create a blueprint for achieving your professional goals. This keynote presentation is suitable for groups of men and women or it can be tailored for women’s groups. Lois brought energy, enthusiasm and insightful guidance to our group of high performing women. 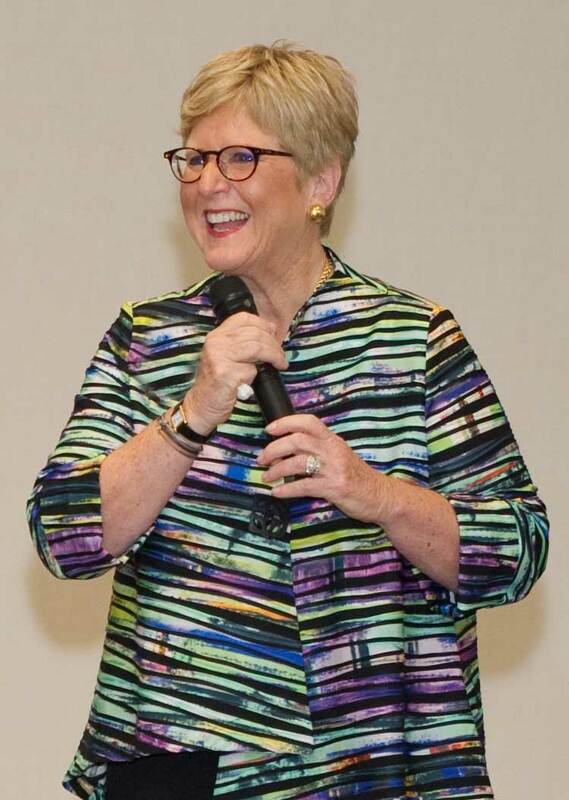 Dr. Lois Frankel charmed a roomful of small business owners with her wit, her knowledge about the group, and her eye-opening advice. 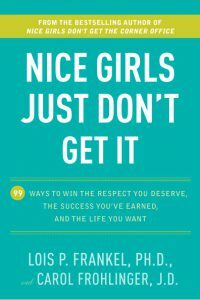 But more than just charming them, she challenged them to rethink their relationships, their self-image, and the way they do business. Dr. Frankel presented three outstanding seminar days for 360 managers and professionals in June 2008. We received our best ever feedback for an AIM Management Masters seminar, with ratings of 9.5 out of 10. The vast majority of participants described Dr Frankel’s presentation style as ‘inspirational and engaging’, with most commenting that they were able to take away a multitude of practical tips and advice. Without question, her important work will have an enduring positive impact on the personal and professional lives of our Members and Clients. Apart from being a superb communicator and educator, Dr Frankel is generous with her time and energy, and ‘walks the talk’. She is also well served by her very professional organisation, Corporate Coaching International. We look forward to Dr Frankel’s return to Australia. Your delivery was so engaging that I lost all track of time! Our group all unanimously agreed that you are a very effective and personal speaker and educator. Thank you for making our Inspiring Across Generations event such a huge success. We are getting tremendously positive feedback on Dr. Frankel’s presentation. Dr. Lois Frankel’s event was the best attended event we have had to date with over 170 participants from around the world logging on to hear her speak. It was incredible the way that she pulled audience members into the conversation by asking thought-provoking questions and soliciting feedback. It was by far our best virtual meeting yet. Arnold and I cannot begin to thank you enough for speaking at the California Governor’s Conference on Women and Families. We so appreciate the time and talent you contributed to making this an exceptional day for our audience of over 10,000 women and 500 high school girls who attended. Thank you for taking the time to come to Chicago and present two outstanding presentations…You provided two excellent keynotes and provided great education to our members and guests. Many of the members and guests have commented on your wonderful presentations and were honored to hear you speak.